Ken Allison shares a pentathlon of ideas for engaging your people. By the time you read this article, the Olympic Torch Relay may be somewhere near you. By Olympic standards we seem well prepared, with none of the horror stories from previous Games about unfinished venues, transportation systems and the like. But, is business prepared to handle the impact of this major event on our shores, and most importantly to capitalise on the opportunities that a major sporting event can present for improving staff motivation and engagement? Whilst some larger organisations have been planning for this, the evidence is that 60% of employees, in a recent survey, work in organisations where their employer has not said anything about leave or other arrangements for the Olympic period. On average, employers lose 3.4% of their working time to absenteeism, which equates to about 7.7 days per annum for every employee. Organisations with under 50 employees have significantly less, losing 1.8%, an average of 4.2 days per employee. Evidence shows that events such as the Olympics or the football World Cup do cause an increase in these figures for absenteeism, and steps can be taken to mitigate this effect. But it may be more helpful to embrace the Games as an opportunity rather than a threat. It is unlikely that SME organisations will need ‘dry runs’ in the way that O2 engaged in when it closed its HQ in Slough for a day to assess the impact of staff working from home, but some basic planning and a positive approach to the event will help control disruption and, more importantly, use the event as an opportunity to enhance commitment in the workplace. So, here’s a pentathlon of ideas for maximising the impact of this summer’s Games. Encourage staff to plan their leave early. Highlight the fact that during the Games there may be popular events which people want to watch. Since there will also be other staff on annual leave, those who want to take an occasional day, need to plan sooner than would normally be the case. Set a deadline for leave applications, and be clear about how you will manage conflicts if you cannot release everyone. Consult staff as to what they would want to watch if you can set up a TV in the workplace. It’s not a good idea for everyone to pile into reception to watch the TV that’s permanently there, so think about a location where all employees would be comfortable watching – the last thing you want is for production workers to be excluded from the MD’s office, because the office staff got there first! Remember that there will be some people who are not interested in sport, and they will not appreciate colleagues not pulling their weight because they’re watching TV. Make it clear to everyone, for instance, that work time spent watching an event must be made up. The Games present you with a wonderful opportunity to experiment with flexible working, which may be particularly important if you are located in London or the South East. The Government have, for instance, announced that up to 40% of Whitehall civil servants will be asked to work from home to ease congestion during the Olympics. Engage your staff in a discussion about how they will get to work on time during this period. This will show them that you still expect good timekeeping, but also give you the opportunity to introduce some flexibility. Could you introduce ‘flexi time’ on a short term basis, or could some jobs be done from home. Remember to make it clear that any arrangements are temporary! Look out for special opportunities to rally support for particular events. Is your product used at any of the venues, is there a local athlete competing, or, is one of your customers involved in some way. Events like this, or those that occur at the end of a working day could provide opportunities for a social event, but remember to be sensitive about those who don’t like sport, don’t drink (perhaps for religious reasons), or support another country. If TVs are not possible, can you allow staff to watch events or download video clips on their PCs or laptops. Your normal IT policy may not allow this, and, in any case, it may have a debilitating effect on your systems, so think ahead about whether this is going to be possible. Remember also, that whether it is TV or over the internet, you will still need, at least, a TV licence. So, what about all the abuse that’s going to happen, with staff throwing ‘sickies’, or being worse for wear after celebrating a success, or bemoaning a failure! If you read the HR press, you could be forgiven for thinking that this should be your major concern. Of course, there may be problems, but hopefully, taking a pro active attitude and capitalising on the opportunity, should enable a ‘firm but fair’ approach that benefits rather than detracts from the productivity of your organisation. 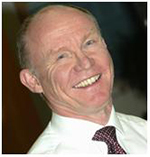 Ken Allison is an engaging speaker who manages to make his topics, such as employment law, highly interactive, challenging, entertaining, and above all, relevant to the 21st Century executive. Ken uses his understanding of managing businesses to show managers what they ‘can do’ rather than what they ‘cannot do’. Through his firm’s ‘ExecutiveHR’ service, Ken also provides telephone based support services to SME businesses throughout the UK. Posted in: Business opportunity, Business Performance, culture, London 2012, Olympics.